It’s just a fact of life that you aren’t always going to have the cards you need to win the hand. 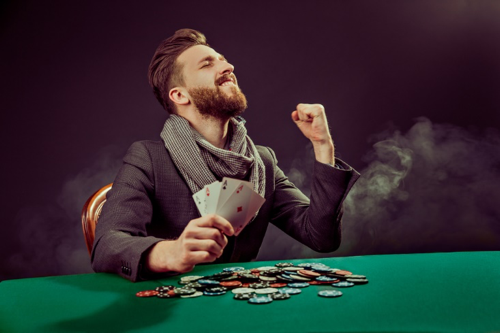 Bluffing has been a part of poker for years and there’s a definite skill in being able to trick your opponents into thinking that your hand is something else. 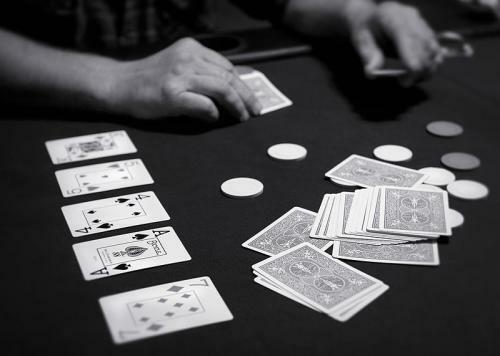 Getting the other players to keep raising when you have a strong hand is one thing, but convincing them that you have the best hand when all you have is high card or a low pair? That’s a whole different kind of bluffing. Sometimes a player will see clean through it and call, even though you’re sending all the signals. The only way you can refer to that is a Hero Call. Here are a few examples of some pure heroism from players who just weren’t willing to fold. And if this gets you in the mood to play, why not stop by https://casino.paddypower.com/live/3-card-brag and see how lucky you are? МТТ (Multi-Table Tournament) – a poker tournament with the following structure: participants start playing sitting at different tables. MTT begins at a scheduled time and ends when one of the participants wins all the tournament chips. Like in any other tournament MTT utilizes a structure with growing blinds. Blinds increase by 1,5 – 2 times on each new level. Level intervals are preset. A 5-minute break occurs every hour. Typically it takes 3-4 hours to reach the bubble stage. Pay zone is defined for every tourney, but usually 10-20% of participants reach it. Almost always the winnings increase the higher on the tournament ladder the participant gets and the biggest prize is grabbed by the winner of the MTT. The most pleasant feature of MTT is the possibility of winning. For instance, winning a tourney with 1000 players would give the lucky player a prize which is 200 times bigger than the buy-in (a fee player pays to participate in the tournament). However, it is impossible to beat 1000 players without getting lucky. Thus, high variance is in the nature of the MTT. This means that there is a huge deviation of winnings from expected value. 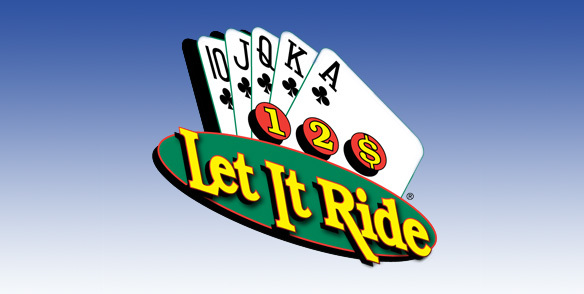 Even experienced players may not manage to reach a single final table playing 100 MTTs. This would lead to negative results. — Play several MTTs at the same time. 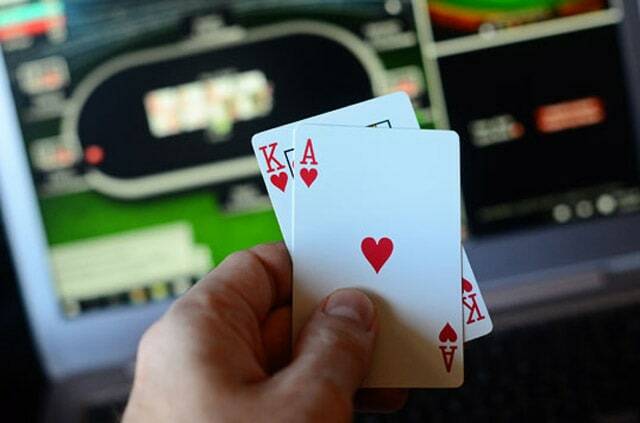 If you’re going to play poker online, chances are good that you’re going to be interested in a tournament sooner or later. The idea of rising through the tournament ranks to win the big prize can definitely motivate you to do your best. Are tournaments worth playing? Absolutely! The entry fee pales in comparison to the prize at the end. Even if you don’t finish in the top 3, it’s very possible to finish “in the money”. You won’t get as much money as the top finishers, but you won’t leave the casino empty handed either. The right type of poker tournament makes a difference. Good casinos will give you multiple flavors of tournaments to choose from. Online casinos have everything from single sit-n-go tournaments all the way up to full scale tournaments that have some huge prizes. The size of the field can dramatically change how much money is at stake. You don’t want to miss out on the challenge just because you’ve never done a tournament before. Tournaments actually look like single poker table matches on steroids. Once you defeat players at your table, you’ll move on to another table, and another table, and another table. This will continue until you bust out, or you get to the top table. Be warned: there are players of all skill levels in a poker tournament. You won’t be able to breeze through everyone. Some players will present more of a challenge than others. Yet there’s always the element of luck to save you when things get rough! You might get the exact card you need that gives you the advantage in a particular hand, but you also may be able to use your mental prowess to defeat players. Bluffing is a strong tool when it’s used properly, after all. But let’s get back to the fun of the tournament itself. 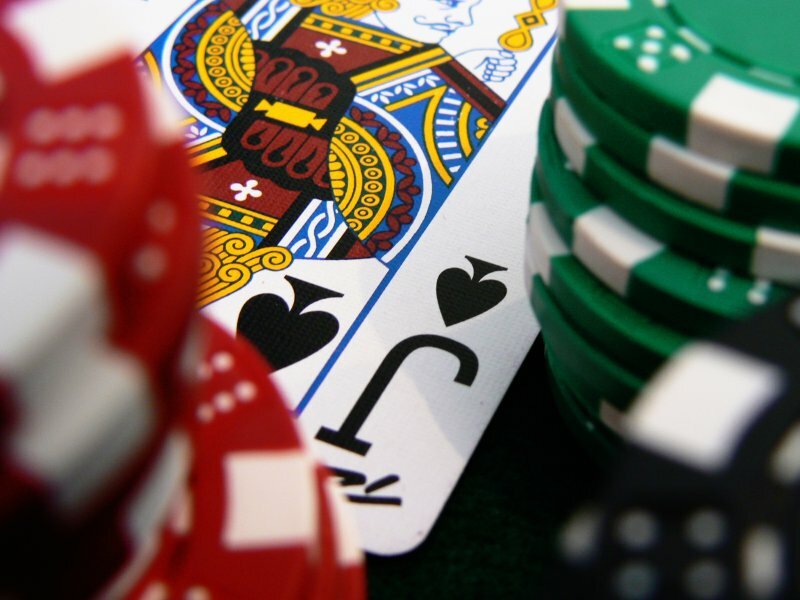 Did you know that at an online casino you can chat while you play? If the action isn’t on you, there’s nothing wrong with a little friendly chat. Some people ignore the chat window entirely, so don’t take it personally if no one answers you for a little while. As the match progresses, they will be more than happy to chat a little bit. They’ve gotten to know you a little bit, and they might give you some praise when you make a great play. With so much going on at a poker tournament, you can’t skip them. They’re just too much fun! Why not go where the poker action stays hot? Confidence in Poker is a Must! Look, you guys wanted me to talk about poker, so I’m going to talk about poker. 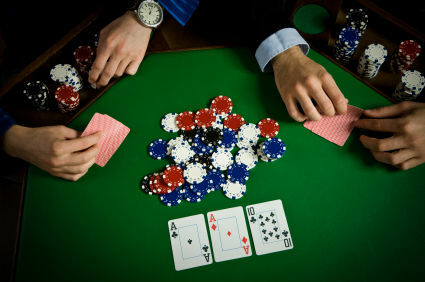 In my opinion, poker is one of the all time gambling games around. The truth is that you either can get down with the competitive nature of poker, or you can’t. There really isn’t a middle ground. The middle ground is where people get eaten. If you try to be diplomatic in poker, you’re going to get eaten. If you try to be too friendly, you’re going to get eaten. Do you see the pattern here? If you don’t come to the world of poker looking to win…you’re going to get eaten. This is something that a lot of people don’t really think about, but it’s absolutely true. What you have to do from here is know that if you aren’t reaching for the top, you’re going to fall behind. People are hungry to play poker. Maybe in the beginning, it wasn’t as cutthroat. But now that we have the World Series of poker and the World Poker Tour, the truth is that you’re going to be looking at a LOT of competition. 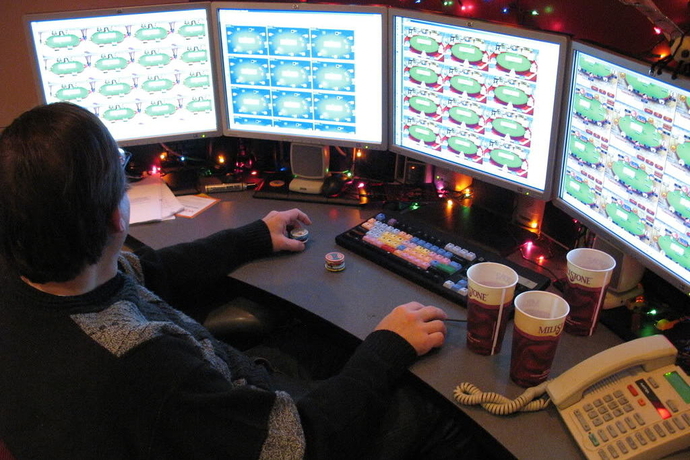 People are thinking about quitting their jobs and doing nothing but playing poker all day. That’s something that’s pretty tough to deal with, and it’s not something that you want to look down upon in the slightest. You just have to peek into a different world and plan for the best outcome possible. I’m not going to tell you that you’re going to become some sort of poker god in less than six months. But you can take steps to better yourself in the field without losing your cool. The first step is definitely confidence. If you’re not confident in the world of poker…well, I’ll let you fill in the blanks. 🙂 The truth is that confidence is an absolute must. 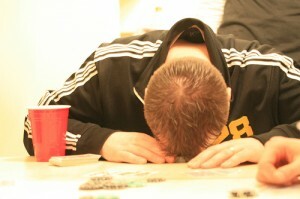 You can’t bring the stress and strain of everyday life into the poker world with you. Even though it’s online, these poker hounds will pick up on any type of stress or worry that you’re going through. You have to set those feelings aside because they are absolutely toxic in the grand scheme of things. If there’s something that you need to figure out, you have to make sure that you get it together. There’s nothing wrong with pushing hard if that’s something that you’re trying to do, but there’s something to be said about having your head in the game. There’s a difference between being confident, and being cocky. You have to make sure that you’re not overplaying your hand. If you keep raising and everyone’s going along with it, you could be walking into a trap. But pride won’t tell you that. Pride will tell you that everyone’s a sucker and you’re the smartest guy in the room. That’s not something that you want to find yourself dealing with, either. The best thing that you can do from here is make sure that you’re focused on your game. Don’t get emotionally involved in the poker hijinks of others. Don’t be afraid to fold if you know that you don’t have the nuts. Pride will tell you that you should stay in, play loose because that’s where the money is. Don’t give in to pride. Confidence, in my mind, is much calmer and far quieter than pride could ever be. You are never going to be the best poker player that ever was. That just isn’t going to happen at all. However, what you can do is make sure that you embrace the challenges of poker. Roll with them. You’ll make mistakes but I promise that you’ll have fun along the way. Good luck! The word tilt refers to the state of frustration or confusion that a poker player generally suffers after a bad beat in poker. This state of tilt often causes players to make irrational and less than optimal decisions at the poker table. Whilst this is a natural human response to a bad beat in poker there are ways to avoid and overcome tilt. How do I beat Tilt? Beating tilt can be quite tricky and may take a bit of practice and discipline but through the following techniques it is likely that you will be able to take one or several of these tips and use them to help you avoid and overcome tilt. Going for a walk, a cigarette break, a coffee or just taking a 10 minute break can help you immensely after a bad beat, get your mind back into the right mindset and prevent you from making irrational decisions. If you are listening to songs that you enjoy, the positive aroma that comes from them can help you remember that it is just a game and not to take it personally. Another good piece of advice is to change the song or CD that you are listening to after a particularly bad beat. Everyone has good wins and everyone has bad beats, if you focus on your massive wins it can reduce the negative feeling and frustration you will get after a bad beat. Most of all just remember that poker is a game that is won by strategy and not emotions, try to remember that by letting your emotions cloud your judgment you are doing nothing but worsening the situation. Beating tilt can be hard but with practice it is possible and by being able to recognize and avoid tilt it can turn you from an average poker player into a great one.